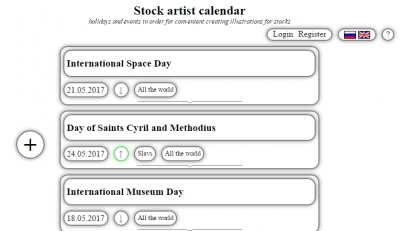 Stock artist scheduler is a service that can be useful for artists who draw images or model 3D for sale on stock sites such as Shutterstock and others. It’s not secret that the sale of a content dedicated to some famous event or celebration significantly increases shortly before the event date. Which is quite understandable – designers require more new content corresponding to the upcoming event than other times. Therefore creating Christmas toys for selling on stock sites is much more profitable shortly before the New Year holiday, and spacecraft – shortly before the Astronautics Day. 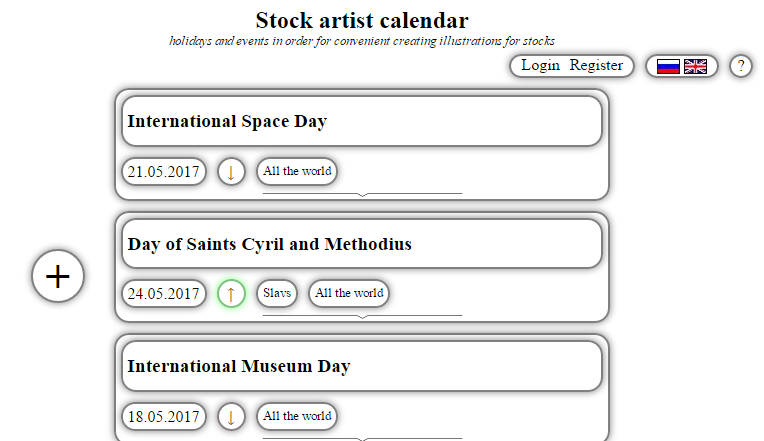 The Stock artist schedule is a list of holidays, significant events, and dates, shown in a convenient order for the preparation of content for stock sites.